Our aim, when structuring the course was to examine real world issues, particularly ones affecting Canadians from the three major social science lenses. We hoped to provide students with the opportunity to engage in conversations surrounding key social and systemic issues, including de-stigmatizing mental illness, group conformity, crime, and systemic discrimination. All major unit tasks were centered around creating opportunities for student voice and civic engagement, using the various social sciences to examine, critique and call for action to influence social change. Through using various tools and formats such as PSA’s, social media, organizing symposiums and creating infographic poster campaigns, students took ownership and realized the power of their voice, particularly at the grassroots level. The topic of Residential Schools and the Stolen Lives resource we felt could be utilized best when studying through a cultural anthropological lens. A major goal of our unit was to examine the concept of cultural relativism and how one ideally should study other cultures. Essential for understanding this approach is to have a solid foundation in historic anthropological ethnocentrism. We began by examining the concepts of social darwinism, scientific racism, eugenics and genocide. We utilized the video “Genetics, Eugenics, and Ethics” by David Jones, A. Bernard Ackerman, and historic documents such as the poem “White Man’s Burden” by Rudyard Kipling to support student exploration. Students used historical perspective to understand how the science and logic of the period allowed people to justify inequality and acts of injustice including African Slavery, the eugenics movement in Canada and abroad, and the Holocaust. Students began to understand the legacy of such mindsets, and past actions, recognizing the impact they still have today and ultimately how the social sciences can help understand and find solutions. 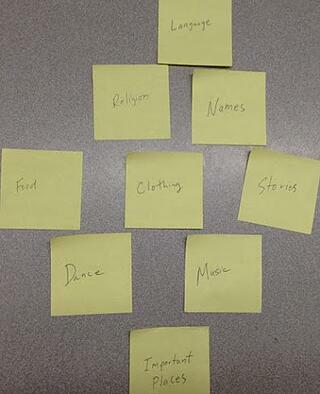 Students used “diamond ranking” to identify language as the most vital building block of the survival of any culture, necessary for passing it on from one generation to the next. It is here where students were first introduced to forceful assimilation and the Indian Residential School programme. Because language is so vital, it was important for us to be intentional about the language we used in class for such a diverse group of people. We began by looking at language used in popular culture, including that surrounding mainstream sport logos and team nicknames. We followed that discussion by showing the video by Thomas King “I’m not the Indian you had in mind” which led to a discussion on the use of language to define and identify how groups self identify and describe others. This was particularly eye opening for the students as they were unaware of the meaning and how ethnocentric colonial legacies have allowed for the acceptance of blatantly racist terms such as “Indian” or “Redskin” in our common vernacular. We primarily used the documents and readings from the “Language and Identity” section of Stolen Lives. 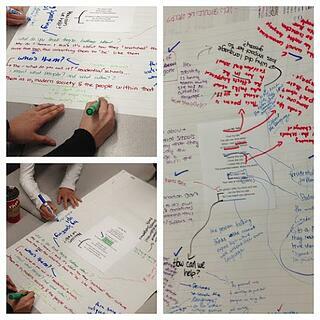 We began by using the “Big Paper” activity to examine the poem “I lost my talk” (reading 7). Students questioned and interacted with this poem and each other to begin to understand the impact of language loss and what it means for one’s cultural identity. 1) What resonated with you in the reading? 2) What info or insights into language and culture are worth sharing? 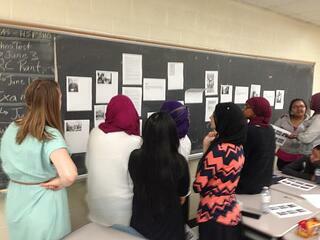 3) How can this article help us to understand the legacy of Residential Schools in Canada? 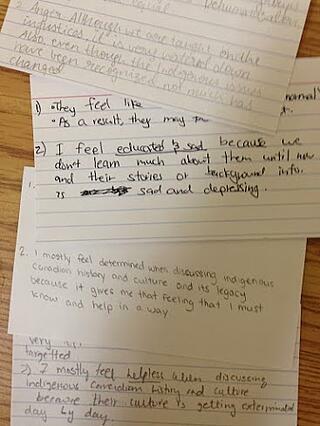 Students had the opportunity to engage with Indigenous voices on the impact that the ethnocentric policies of forced assimilation had on them. This all built towards allowing students to appreciate and understand the importance of cultural relativism which is a concept they used in their critical challenge. It allowed them to re-evaluate the way they themselves look at the differences and similarities between other cultures. What strategies or activities do you use to incorporate the voices of various groups within your class? 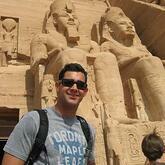 Mike is a secondary school teacher with the Peel District School Board. He teaches history, law and social science. Mike strives to embed inquiry based learning and critical thinking into his courses. Mike is passionate about finding creative ways to use 21st Century technology to encourage civic engagement and action. Follow him on twitter @ItsMrMElias.